Check out the head on that brew! Anyway, the place was completely empty but it was also dark and very cold, so we decided to take our breakfast outside to eat. Now I’m sure I’m probably the last person on these boards to taste LeFou’s Brew, but on the off chance that there is someone out there that hasn’t yet, here is my description of this beverage. 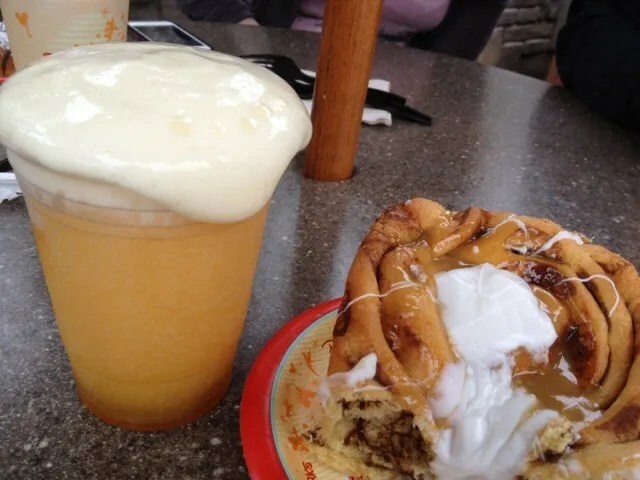 LeFou’s Brew is frozen apple juice with just a hint of toasted marshmallow and topped off with passion fruit and mango foam. The four of us drank all that we wanted from this one glass and we still ended up throwing out some. So for us, it was just ok and being $4.49 for a cup of frozen apple juice, it’s not something that we will likely be getting again. 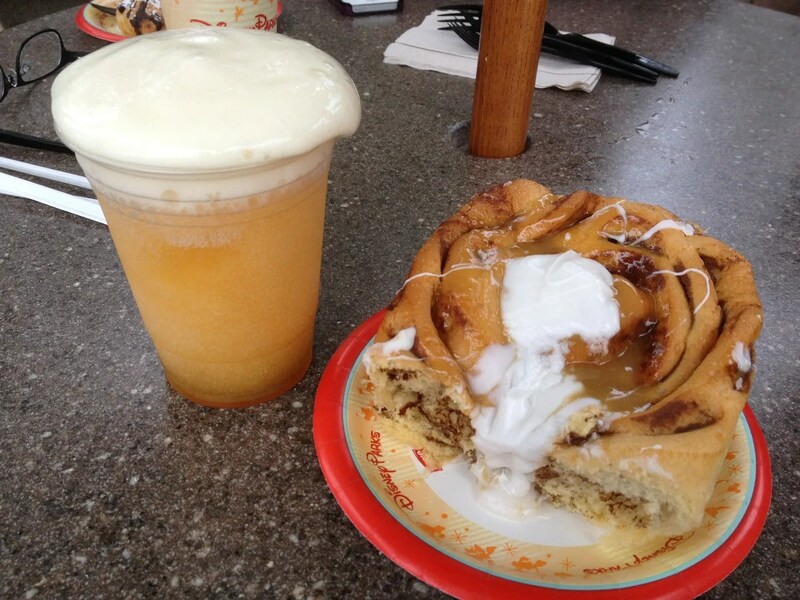 As for our assessment of the cinnamon roll…we agreed it was a little dry and needed more icing. That one dollop in the middle just didn’t do it for us. Oh, and in case you are interested, DS had a small bite of our roll and said his chocolate croissant was better. The rest of us can not attest to this though, because he ate it all before we had a chance to ask for a taste. 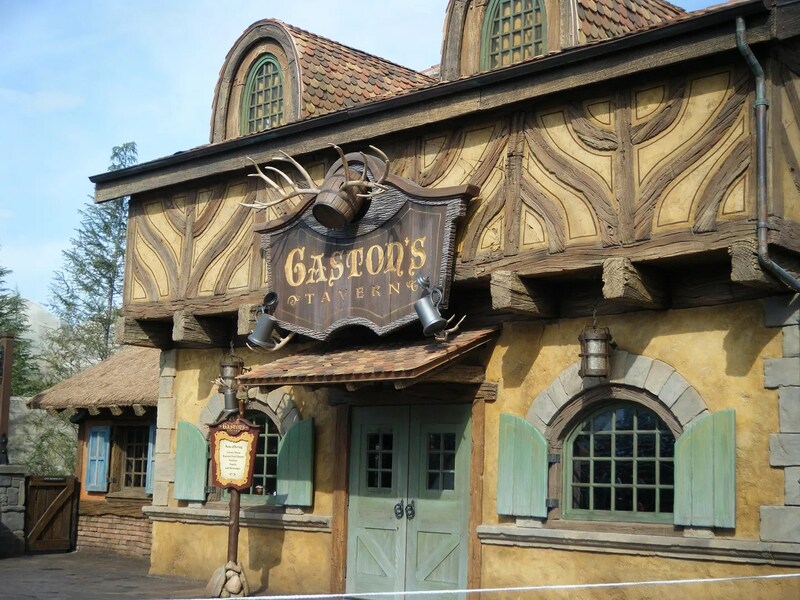 So in conclusion, even though Gaston’s Tavern did not quite measure up to my expectations, after posting countless pictures of LeFou’s Brew on the Live Thread I am very happy that I finally got to try it for myself.